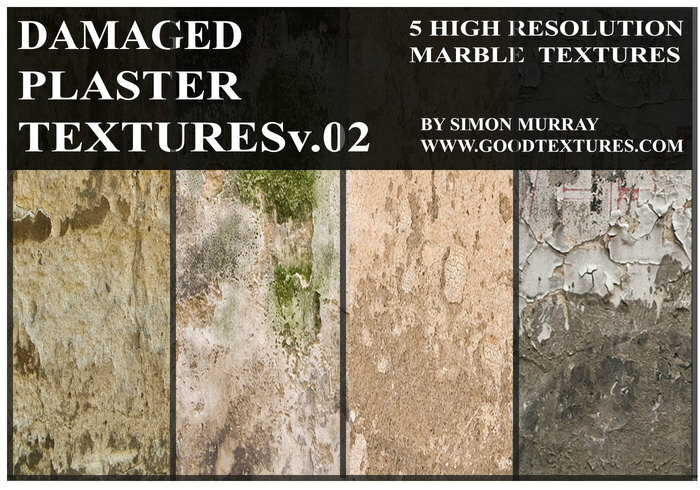 Damaged Plaster Textures Vol.02 - Free Photoshop Brushes at Brusheezy! 5 High resolution damaged plaster textures vol.02 Here is a small collection of various damaged plaster wall textures. These textures are completely free to use. Hope you like them, enjoy.